How does the Spin work? It’s as easy as 1-2-3. Really. 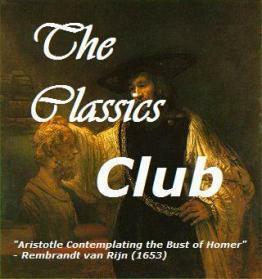 Choose 20 books from your Classics Club list that you have yet to read and post the list to your blog before Tuesday, November 27th. And on Tuesday the randomly chosen Spin Number magically appears in your inbox. Now all you have to do is read the book that corresponds to the number and review it by January 31st, 2019. Seriously, can it get any easier? The Outsiders Hinton S. E.
**C. S. Lewis Collection Lewis C. S.
**UPDATE: After I posted this, I did some thinking about reading the C. S. Lewis Signature Collection. It is doable to read all 7 books by January 31st, but I’m afraid I may end up with C. S. Lewis burnout. Having said that, I’ve decided to read a minimum of two: The Screwtape Letters and The Great Divorce . Great list Erica. I’m going to risk seeming the know-it-all, because I made this mistake myself once, and I would want to know. Ralph Ellison’s novel is Invisible Man (without “The” in front). THE Invisible Man is a sci-fi-fi thriller by H. G. Wells. Invisible Man is an important work and a masterpiece. Enjoy! I’d like to see you read Arabian Nights. It’s on my list, too. It would help me if I could read it with someone else! Definitely. Even if it’s not chosen we should make a plan to buddy read it next year. Ooo, lots of good stuff here. I’ve never yet dared read Jude the Obscure, so I vote for that one as Scariest Title. I read Jude 20+ years ago in college and remember it being okay, but now I want to read it for pleasure. Thanks for posting about this – I missed the announcement on Monday. 🙂 Time to compose my list! The Angelou is wonderful, BTW. You’re welcome! Look forward to seeing your list. I have put of reading it for years. And now I’m starting too feel bad about not having read it. But Invisible Man and Moonstone are great (and chunky) too. I thought about that after uploading the post. The Signature Collection is 7 books and almost 1000 pages. If I start in December it’s a book a week and if I start in January it’s 2 a week. Doable. But I’m now concerned about C. S. Lewis burnout; which if that happens I won’t finish. So, I’m going to have to rethink it. I was just looking at that and thinking about it. I’m a big Lewis fan, but that’s a LOT at once. Interesting choices, Erica! I’ve read five in the original out of your list, and two in my childhood as abridged versions. I’ve kept away from a few on your list too! I too have C.S. Lewis in my spin list, but I’ve split up the collection into its individual parts. I don’t think I could finish his collection at all with the time limit given!! After I posted my spin list, I started thinking about the Lewis Signature Collection and wondering if I would finish. It’s 7 books and almost 1000 pages. In theory it’s doable. A book a week, if I start in December and two with a January start. Still doable, but now I’m worried about C. S. Lewis burnout. Might have to rethink this. That’s exactly the one I have! I wish you’ll get To Kill a Mockingbird or Three Musketeers. Both are fun, and in my favorite list.